We have a Vivo smartphone at home so we are thrilled with the release of Vivo V5 Plus. Vivo, one of the top five premium global brands according to data from the International Data Corporation is set to launch a smartphone dubbed as the 'perfect selfie'. The unveiling will happen this coming weekend, January 21 and 22, at the SM Mall of Asia Atrium, in what is expected to be a celebrity-filled event. 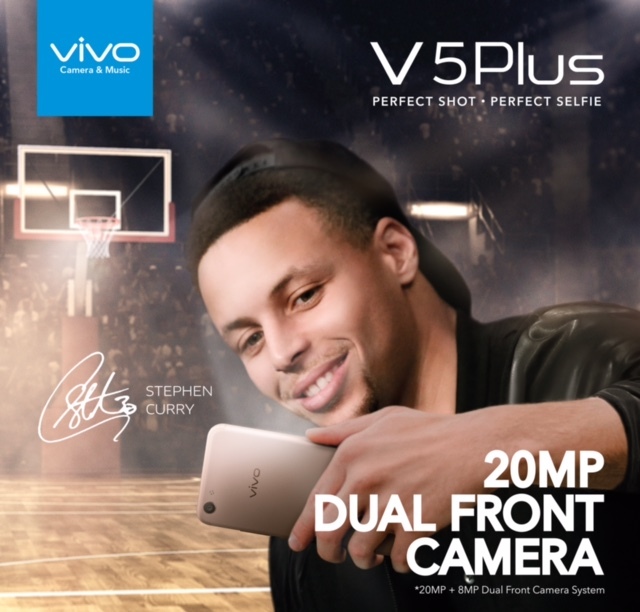 Two-time MVP and Golden State Warriors point guard Stephen Curry is the face of Vivo’s newest flagship model, the Vivo V5 Plus. Filipinos love taking selfie and we are always on the look out for new and exciting gadget that fits to our lifestyle. We are excited with the Vivo V5 Plus Perfect Selfie. With the selfie’s popularity growing unabated, smartphone manufacturers have been producing phones with camera-focused features. Which is why Vivo, known for its high-quality smartphones, is set to launch its newest flagship model, equipped with the most advanced selfie technology to date: the Vivo V5 Plus. 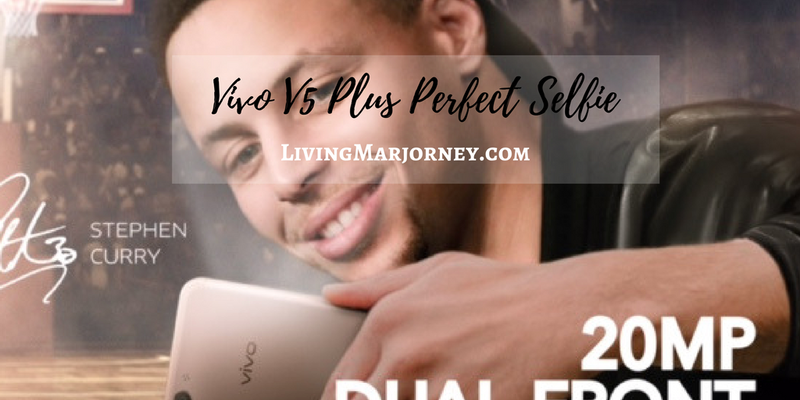 The Vivo V5 Plus is likewise endorsed by one of the biggest stars in sports today, NBA’s Stephen Curry, who earlier said that he shares the same core values with the brand: energy, professionalism, and pleasure. 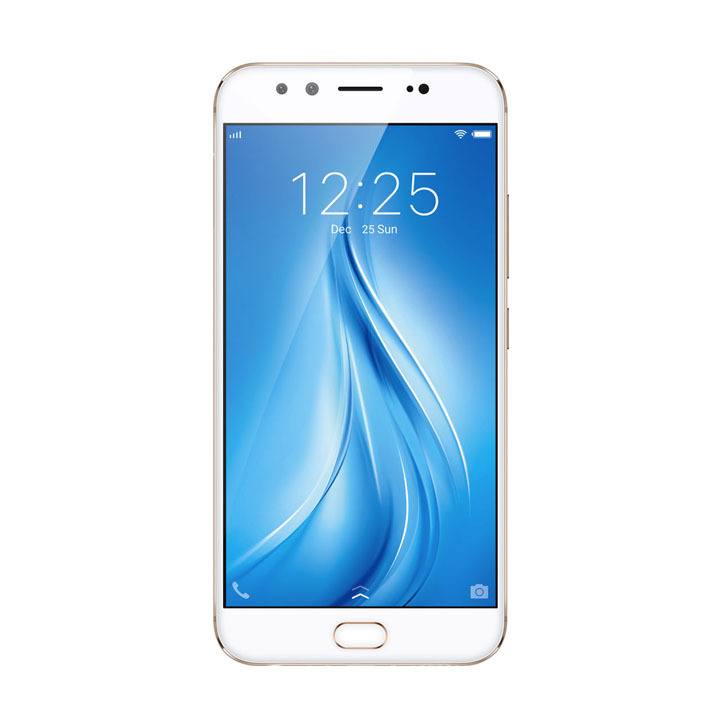 Vivo V5 Plus features include its dual front-facing cameras: a 20-megapixel and 8-megapixel combination, a soft-light flash that enables the user to take selfies even in poor lighting conditions, a face beauty mode 6.0 that corrects blemishes, and the “bokeh” effect—the well-loved photography filter that instantly blurs the background of any focused object. Vivo V5 Plus is also equipped with a 16-megapixel rear camera. 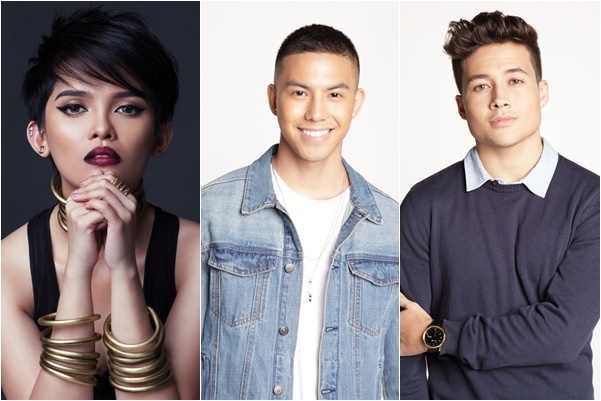 During the launch, local stars including guest performers like singer KZ Tandingan and Pinoy Boyband Superstar’s Tony Labrusca and James Ryan Cesena, Vivo key opinion leaders like fashion blogger Verniece Enciso, top technology bloggers, and significant personalities from the smartphone market will be joining the big reveal. More information about the Vivo V5 Plus at vivoglobal.ph, or check out Vivo Facebook, on Instagram and Twitter accounts. “We are excited that the Vivo V5 Plus is finally launching here in the Philippines, as Filipinos are known to be selfie lovers. 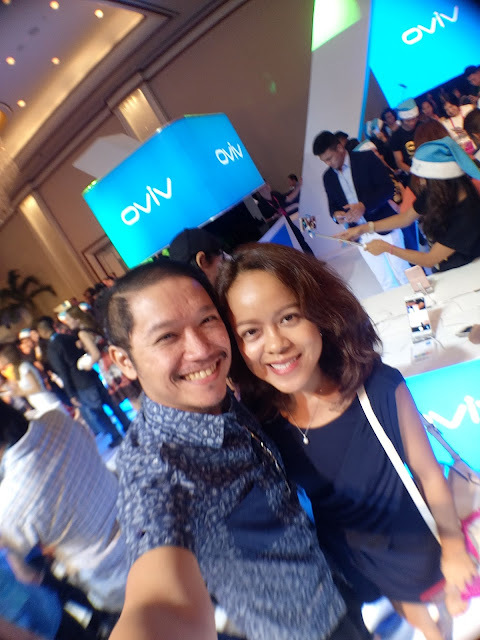 The phone’s advanced selfie features will surely take the Filipino selfie experience to the next level.” says Hazel Bascon, Vivo Philippines vice president. Get the latest from Woman In Digital on Instagram, Facebook and Twitter. Stay tuned as I share with you the full specifications of the newest Vivo model during the event.